Inside My Studio: I'm Sculpting Again!!!! Whoo hooo! I love to sculpt faces! 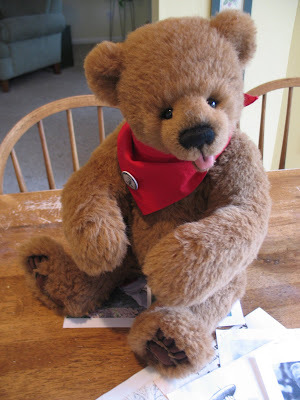 The Toy Shoppe saw my "I Love My Teddy" piece in the Teddy Bear and Friends magazine and asked me to create some doll and bear combo pieces for them. 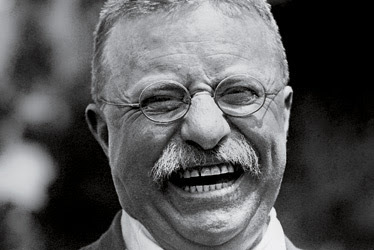 They definitely wanted a piece with Teddy Roosevelt, so that is what I am working on. Fun, fun, fun! I love to scupt children most of all, but Teddy is a blast too. He has the perfect caracature face. Just look at this photo. It is also fun to work on a cartoon-like style. 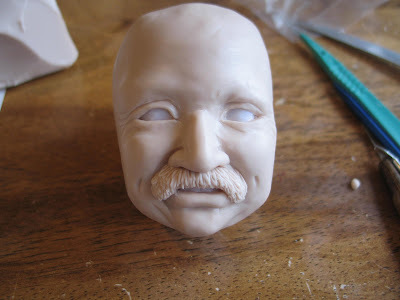 I am exaggerating his features and I have sculpted his moustache rather than applying mohair because he is meant to look like a Teddy Roosevelt doll, not the actual person. 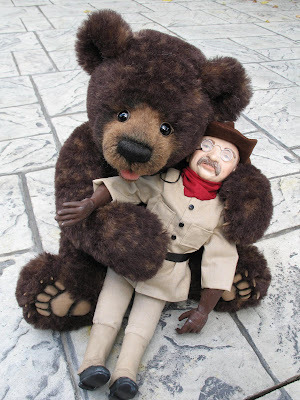 The moustache is a funny part because, both this time and the last time I sculpted Teddy, I worked a long time thinking my sculpt looked nothing like him, but when I added the bushy moustache--bam!--Instant Teddy Roosevelt! Sitting and watching my progress is the bear who is meant to hold this Teddy doll. He is made with my new body pattern and an open mouth. 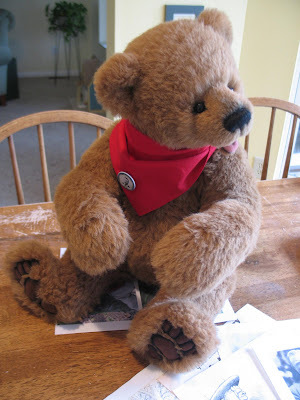 I think you are a fabulous bear artist Tami and an amazing sculptor! I can't wait to see the finished creation!!! Thank you, Lisa! Whta a lovely comment to find here this morning. "And I Really Want a Pet Pig!"